Australia's lifeblood - the Great Artesian Basin - is under threat from Santos' coal seam gas projects. The basin covers almost a quarter of the country, and is the only supply of fresh water for much of inland Australia. No Great Artesian Basin means no farming. It means no cattle-grazing. It means no irrigation, no drinking water for rural communities. Without overstating it, losing the basin would be catastrophic. The blue bit in this map represents the Great Artesian Basin. You don't have to be a professional cartographer to note that it is frigging enormous. Any risk to this water supply is simply unthinkable and unacceptable. Can you write to NSW Premier Mike Baird right now and demand he protect our water? Feel free to craft your own e-mail, or use any of the talking points below. 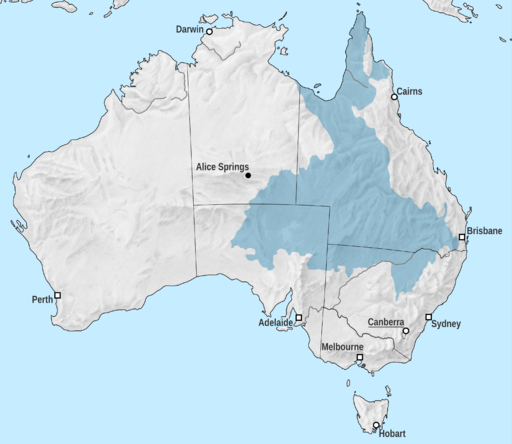 The Great Artesian Basin is the sole source of water for towns and farms across 22% of Australia. Any damage to it will affect farming, cattle-grazing, irrigation and drinking water for rural communities. A scientific review presented to the NSW Great Artesian Basin Advisory Group has said that the Great Artesian Basin may not be able to survive the water extraction methods used in CSG operations. CSG could deplete the pressure that keeps water flowing through bores throughout the basin. The basin's recharge area makes up only about 10 per cent of the overall basin area, and most of this is in the Pilliga region, where Santos is now conducting exploratory drilling. CSG threatens to stop bores flowing throughout the basin, thereby cutting off the sole water source for 22 per cent of Australia. This represents an unacceptable risk to a water supply that's critical for farming, irrigation, and drinking water for rural communities. Santos has already shown us it can't be trusted to protect our groundwater. Earlier this year, it ran a full page newspaper ad reassuring the community it posed no danger to their water. Months later, a Santos owned CSG project was found to have contaminated an aquifer. Right now, Santos has 56 test wells operating in the Narribri area. From these wells alone, they have reported 16 spills or leaks, including the one which poisoned an aquifer with heavy metals including uranium.